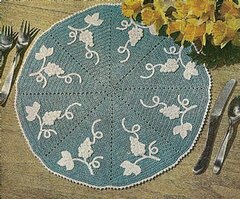 GRAPE Vintage Crochet Place Mat Doily Pattern 15 1/2"
Lovely vintage grape design crochet pattern for a place mat or doily. Could be used as a hot pad. 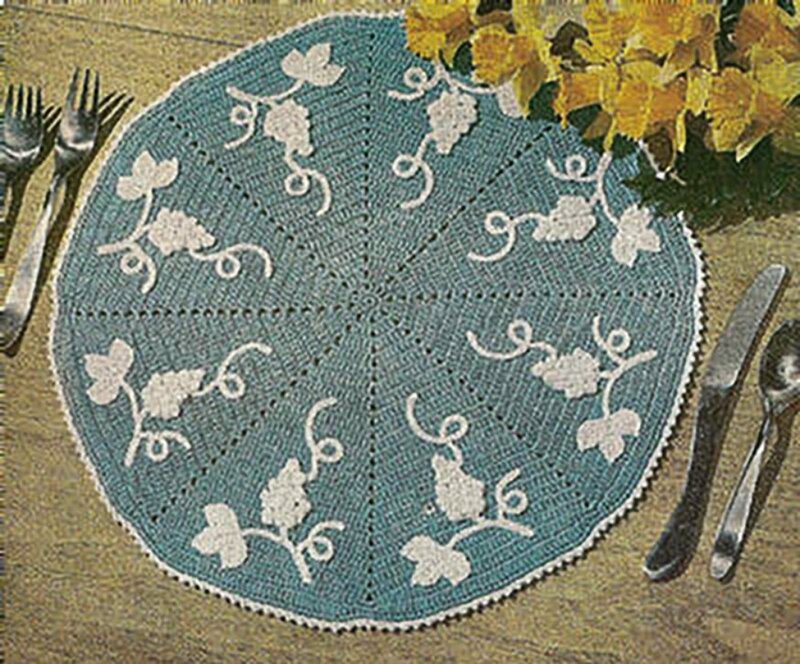 Makes a 15 1/2" mat using size 20 thread and a number 5 and 7 crochet hooks. Abbreviations and terms included. Easy to read. Scanned from a 1940s booklet by Lily Mills Company.